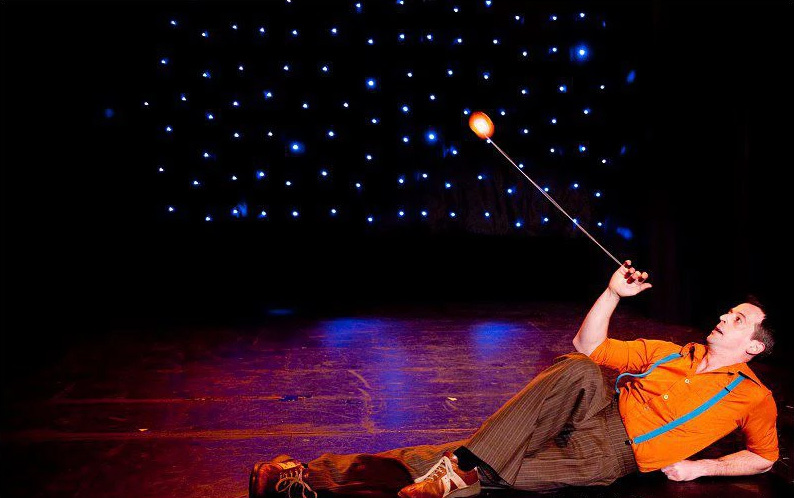 Matt was part of the UK’s biggest yoyo performance team, ‘Team Yomega’ during the yoyo boom in 1999/2000. 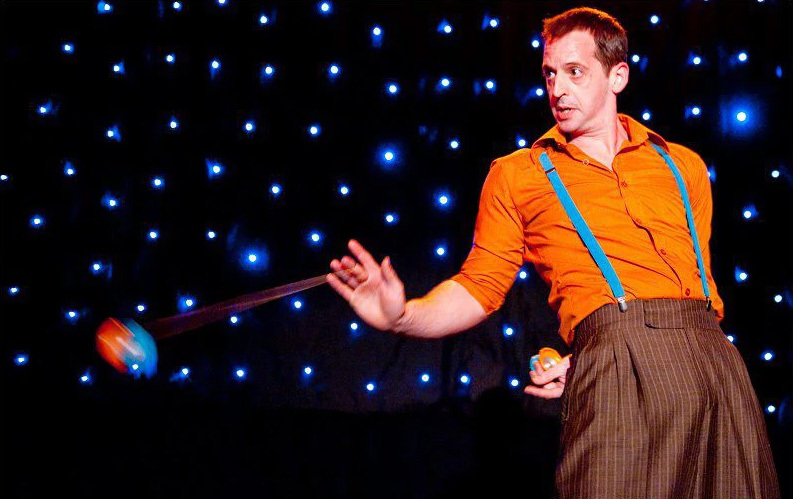 As such, he performed around the country at hundreds of events, running competitions, teaching thousands of people the art of yoyo, even performing on BBC’s Blue Peter with ‘Team Yomega’. Matt also spent time touring France with a yoyo world champion as part of ‘Team High Performance’ – a World class promotional team. 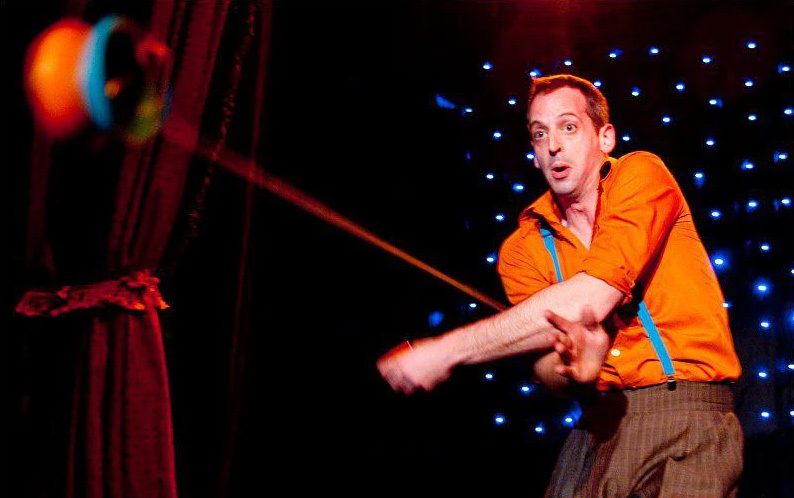 Matt has since developed his skills into an incredible cabaret act which he has performed at venues across the world. He is equally comfortable performing freestyle, routined performance or indeed spreading the joy of yoyoing to others in workshop format! Lighting – Any good front lighting – whether follow-spot or general stage lighting. Ideally, a small amount of back-lighting so that the props are not silhouetted. A technical rehearsal would be necessary to check vision with the lighting. Sound – A sound system which will play from either CD (Matt will provide a CD and a backup CD) or portable music device (Ipod) and someone to start the music on a very simple cue. Stage – minimum size 6ft by 4ft (2m by 1.5m) raised dry level stage area. Ceiling height minimum 9ft from stage floor. 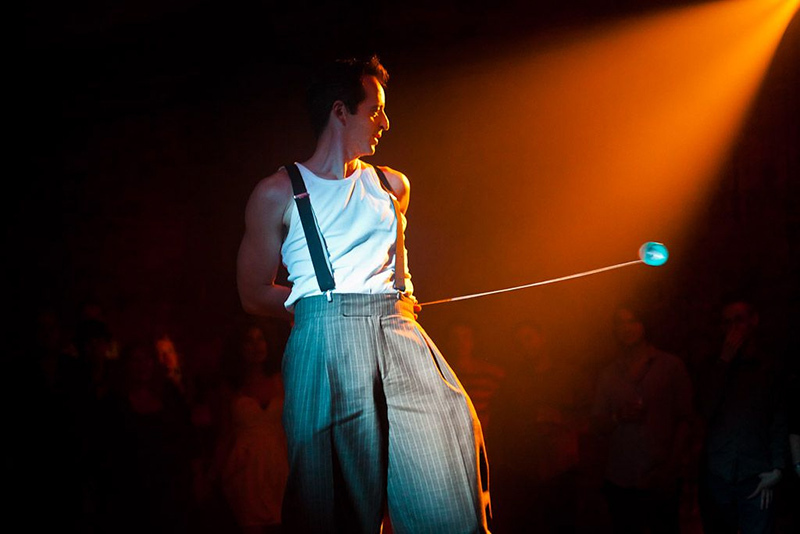 If raised staging is not available, the show can be performed on a dance floor level with the audience, but may mean parts of the act are difficult to see. Changing and Warm-up area – A secure space with room for a simple physical warm up (8ft by 8ft floor space) and access to drinking water. The performance area should be easily accessible from the dressing room.